Some people use credit to spend their money before they have earned it. Other people spend money as they earn it. However, if one wants to get wealthy, one needs to re-earn the money. First order re-earnings work like this. Pick an interest rate, let’s say 4%. Once $100 is earned, it is deposited in a savings account where it earns interest. This results in $4 re-earned over the year. These are the $4 that can be spent. It may not sound like a lot, but that is a matter of perspective. Why next year there is another $4 to be had from the same $100. If expenses are limited by what can be re-earned wealth obtains. The first thing I started spending re-earned money on was my book addiction. I got most of my books used and I get maybe one major text book a month and a paperback or two. On average. This costs me about $200 a year. To afford this I need to save $5000 and I got my reading taken care off. In other words, I don’t think of the $5000 as $5000 to spend but something I have to pay to get $200 each year in perpetuity. However, perpetuities do not create more wealth. If more wealth is desired one must look at re-re-earnings or second order earnings. Save $10000. This gives $400 in re-earnings. $400 results in $16 in re-re-earning. Spend the $16 and use the $400 to build a new base. As with most personal finance math, this is trivial. The difficulty lies in changing one’s view to reflect this philosophy. If I give you $1,000 do you see $1,000 to spend or do you see $40 in perpetuity? 24 users responded in " Get wealthy trick: Don’t spend any money until it is re-earned. " Though I don’t like most of his information, this is one of the main points in Robert Kiyosaki’s books. It’s his main points in ‘thinking like the rich’. In his books he claims that the rich don’t buy things, they always will buy assets that pay for things. Traciatim, I read 1 or 2 of Kiyosaki’s books, and I don’t recall the second-order earnings point that Jacob makes. I do recall Kiyosaki emphasizing income-stream producing assets. So, what I’m hearing is that following this philosophy, the $600 I seem to be about to get from the government economic incentive program is really only $24, but it’s $24 every year for the rest of my life. It doesn’t buy a TV; it pays some monthly bill of $2. I can’t quite think of anything I spend $2 (or less) on monthly, but it’s a start and certainly acceptable for a sudden dose of extra cash I’m not doing anything to get. This reminds me of a friend who likes to calculate how much he earns like this and then theorize on how he could be financially independent with that income. For example, at a fairly young age, he could have been financially independent as a desperately poor person in a third-world country. Nowadays he could afford to live a typical lifestyle in one of the better off third-world countries! Even in the US, you could first achieve the ability to be a financially independent street person and work your way up from there. @ steve – actually I’m going to add another part time job as a copy editor on top of my day job pretty soon. The blog still needs a handful of additional approval forms to accept advertising income. You could say I’m diversifying income streams. Theoretically if we set all my W-2 to zero, my second order income would be nil in my current situation. Also there would have to be a few changes (cable, car .. ) to keep living here on the first order income and it would be challenging. In such a case I would prefer to move to cheaper city/state (this place is ridiculously expensive) as I prefer to have second order income. @ debbie m – So if you get $1000 think of it as $40 a year until the end of time. I got a post called the true cost of coffee addiction that explains it in more detail. I have calculated it in terms of lifestyles too. I like to add a multiplier, since I gather that I can get 3-4 times more for my money than a person who does not shop for specials, etc. There are actually quite a few people who find a job in a high cost of living place (like Vegas) and live in their car. They can earn and save tremendous amounts of money. Once you’ve accumulated enough wealth to live off your unearned income (eg. retire) it’s fine to spend all the first-order REAL (ie. above inflation) interest or dividend income, as you don’t really need to be accumulating any more wealth at that stage. It’s only in the intermediate stages where people might consider using second-order investment earnings to supplement their earned income, but I still don’t think that’s a good plan, as you are sacrificing earlier retirement date for some extra consumption during your working years. Anyhow, the question of living off first-order or second-order investment returns is less important that what level of investment return you attain. For example, someone who invests a million in a bank account with an after-tax return that barely keeps pace with inflation would not achieve any increase in real net worth over time, as there wouldn’t BE any second-order real income. On the other hand, someone who invested the million in a diversified high-growth mix of assets that returned, say, 2% above inflation could spend part of this first-order investment income (up to 2%pa) and still maintain or slightly increase their real net worth over time. Finally, the chances of a significant number of people actually sticking to a plan of living off second-order (or even first-order) investment income is pretty low based on historical results. Otherwise there would be a lot bigger proportion of the population living the lifestyle of the idle rich — sitting back and living off the second-order income of investments made by their forebears. A more realistic plan for most people would be to consume all first-order income and some of their investment capital during retirement, aiming to only leave a small inheritance for the descendents to enjoy. I don’t agree with what enoughwealth says here. I don’t think you’re sacrificing a better or earlier retirement by living off of your investment income. If you live a lifestyle in proportion to your investment income you will find that you can end up retiring much sooner than you would have otherwise. That is why I love dividend stocks. As I purchase dividend paying stocks I am increasing my earnings with each dividend. Also the yearly dividend increases are a great way to beat inflation. This summation of the underlying mindset really speaks to me. People often comment that it’s not worth picking up a penny from the ground. I always stoop down, pick it up and think to myself “this cent represents the annual interest on a dollar; so a small portion of my capital just increased its ROI.” Kind of like re-earning but an order of magnitude smaller. The purpose of reinvesting the re-earnings is to keep up with inflation. The “new base” you referred to, Jacob, is the inflation protector if you need those earnings to cover your expenses, as I do in my ER. I am doing a combination of re-earnings and re-re-earnings, boosting my monthly dividends to cover my slightly increased expenses in the 2 years I have been living off them. By building in this monthly surplus, I can keep the principal intact and grow it a little with what I reinvest from the re-earnings. Great post and definitely shows the different mentality between those that will end up wealthy and those constantly struggling on the never-ending rat race treadmill. One of the main arguments for frugality is to realise that every dollar you spend could instead be used to earn additional dollars through wise investing. Of course, bare essentials such as food and shelter are always necessary. And then you have the never-ending debate between “enjoying” your money while you still can instead of hoarding it away. 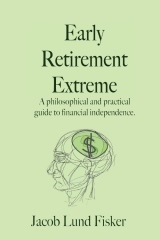 My philosophy is that if you are not at least trying to limit your expenditures and saving more, then you have no right to complain about your working lifestyle or envy those that do attain financial independence. I always think of money as possible income streams which is why I’m not a big fan of spending it, especially at a young age, because spending a few bucks is actually a lot more than spending a few bucks. OMG! Is this doable? My interest from the saving account came out to around $100 last year. The interest from $100 would be about $1. I guess I’m due for a trip to the dollar store in 2011. I see you point, but it seems you would need a huge base to do this. I very much agree with Retirebyforty. I understand your point and sure is one of the best ways to create wealth. But it seems to me also that you need a huge base to do this, which is the hardest to get to. You said you applied it to your books. What happens with the rest? Live expenses? Do you use this principle for the grocery? How can you manage this theory on bigger things? Interesting, I just learned a new perspective. Normally, I adhere to m budget to control spending. This is why savings rates are north of 75% on this site. Let’s say your after tax income is 30000 and you save 80%. Year 1: Spent 6000, Base 24000. Year 2: Spent 6000, Base 48000. Year 3: Spent 6000, Base 72000. Year 6: Spent 6000, Base 144000. The base is now yield 5760 per year. I didn’t include compound interest. Those who only save 15% will spend 65 years to get a sufficiently large base. Saving 30% will take 35 years of work. The reason is that 1) With smaller savings rates, you’re spending a lot more and so need a lot larger base. 2) You’re saving relatively less. I like the idea of -re-earning before you spend unfortunately very few people have that mind set. Jacob, you must be pretty far out there in duration to take in 4%. You starting to get nervous about recent debt markets action? Been a long time since the “vigilantes” had a haircut by either way so you’ve had a tailwind this past decade. Or do you not worry about principal? @dunkelblau – I don’t mind taking hits on principal. I’m mostly in stocks. For some reason I “got” this at an early age. In my 20’s I started accumulating shares of my local electric utility. I reasoned that with enough shares the dividend would pay my monthly electric bill. And eventually it did! So you never want to spend your earnings, you capital. You only want to spend the interest and dividends that your capital brings you.